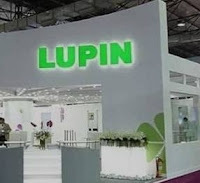 Our ‘One Lupin’ culture creates a unique value proposition of innovation, high performance and continuous learning. By virtue of our progressive people-centric HR practices and compelling employee experiences, Lupin has been consistently recognized in the top ranks of Great Places to Work in India and amongst the top 15 across industries in Asia. Lupin also emerged as No. 1 in the Biotech and Pharma industry and as No. 4 amongst large organizations for the year 2017 in the survey by Great Place to Work Institute and The Economic Times respectively.